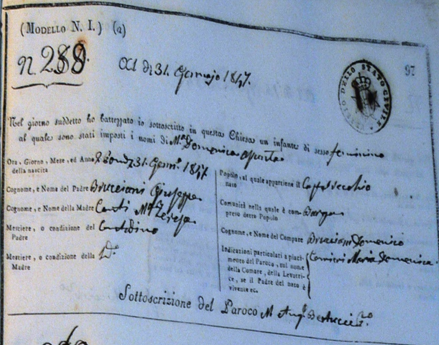 The archives clearly show the birth of Maria in 1847. She was the daughter of Giuseppe Brucciani and Maria Teresa Conti. However her life must have been short as her sister born two years later was given the same name.